The International Reading Association met in New Orleans this past weekend. Unfortunately, I could not attend the conference because I had so much to do for the PFTSTA graduation which was Saturday. I was really sorry to have to miss it; there were some amazing young adult authors there making presentations. However, when I got the invite from Penguin for dinner at Restaurant R'evolution with three authors, I told them I would be there. 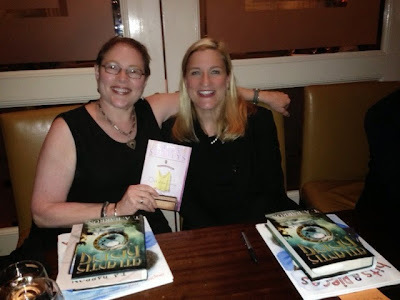 In February of 2013, Ruta Sepetys visited us at PFTSTA. The kids adored her; I adored her, and I couldn't wait to visit with her at dinner on May 10th. Actually, I got to sit next to her and chat throughout the entire dinner service. If you haven't read her book, Out of the Easy, you need to because it is marvelous. 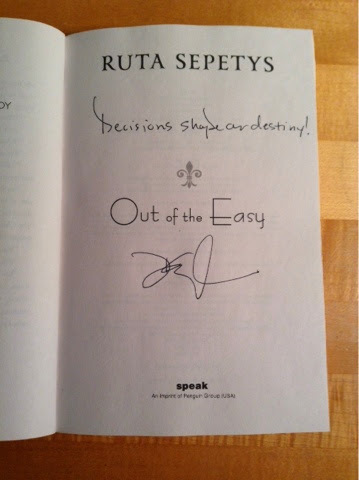 Ruta explained some of the impetus for the story came from her work with women on death row. She wondered if someone could turn their life around if they divorced their family. The protagonist, Josie Moraine, is the daughter of a prostitute in a 1950's New Orleans and does just that. T. A. Barron, the author of many books on the shelves of the PFTSTA library, talked about his new series about Atlantis. I told him how much the middle school boys love his Merlin books, and that most of the volumes are falling apart. He explained the connections between his various series. I realize that I have some new books to buy to complete those series. 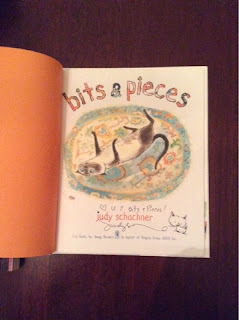 Since I have been working at the middle and high levels, I just don't keep up with picture books much anymore. 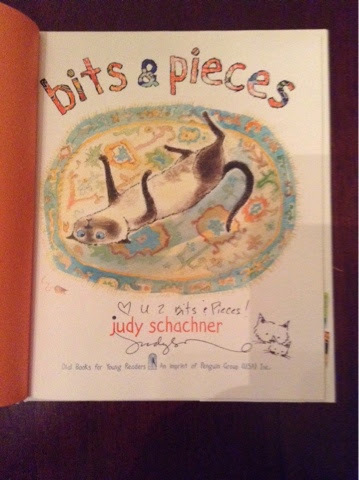 So I was not very familiar with Judy Schachner who was the third author at the event. She was delightful. I loved hearing her story about telling her publisher that she could write as well as draw when she had no clue how to write a children's book. I do miss the warm and fuzzy feeling that picture books give the reader. It was a fun evening, and it was great to be included.